Welcome to the Emergency Preparedness website at The University of West Alabama. The Office of Emergency Preparedness is constantly striving to improve UWA’s plans for potential emergencies. This process includes developing and updating plans, working with first responders, conducting training, and implementing the emergency management process. 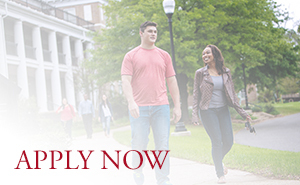 The University of West Alabama is dedicated to providing a safe and secure campus for the University community. We are currently recognized as one of the safest college campuses in the nation, and we realize that the key to upholding safety lies in preventative planning. As a result, we have developed an Emergency Management Plan that addresses hazards and issues of special importance to the University and surrounding areas. The purpose of this website is to provide comprehensive information related to emergency situations. We hope that you take personal responsibility in educating yourself about the safety measures we have adopted to ensure our ability to respond efficiently and effectively to any emergency situation that may arise. By working together, we can provide a positive and secure environment for our students, faculty, and staff. 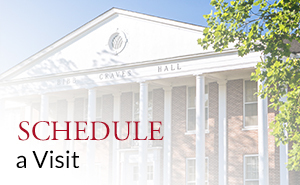 In the event of an emergency, UWA will notify, update, and offer direction on the primary web site (www.uwa.edu). Prevention: Action taken to decrease the likelihood that an emergency will occur. Mitigation: Action taken to eliminate or reduce the loss of life and property related to an act that cannot be prevented. Preparedness: Developing policies and protocols, incident command systems, training, planning, coordination, and exercise for potential crises. Response: Action taken to effectively contain and resolve the crisis or emergency. Recovery: The process of assisting students, faculty, and staff in the healing process and restoring educational operation in schools. Being prepared is the key to lessen the impact of an emergency. It will help to reduce fear, anxiety and losses. Should a crisis occur, UWA would provide as much assistance as possible. Please use the information within this site and other sites provided to better prepare for potential disasters in this area.